UPDATE: Dr. Adams just arrived at the hearing -- late. The warrant has been recalled. The hearing is set to start at 2:00 PT. An L.A. County Superior Court judge has issued a warrant for Dr. Adam's arrest, because he didn't show up for a hearing today. Lori Ufondu sued Dr. Adams and won a judgment in excess of $100,000, after he left a sponge in her following surgery. 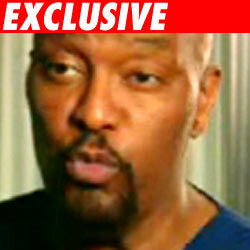 Ufondu's lawyer told TMZ Dr. Adams hasn't paid. Today, Dr. Adams was ordered to appear at 8:30 AM in San Pedro, Calif., for a "judgement debtor" examination hearing, in order to establish where he had assets. The doctor was a no show, and the judge issued a $30,000 civil warrant. Dr. Adams operated on Kanye West's mom the day before she died.